Baby Quinn isn’t baby Quinn anymore. 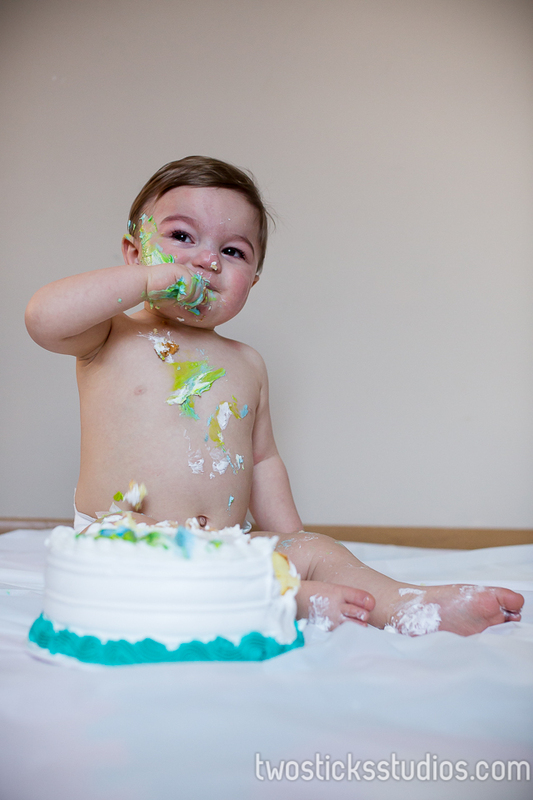 The little man turned one last week and smashed a cake to celebrate! 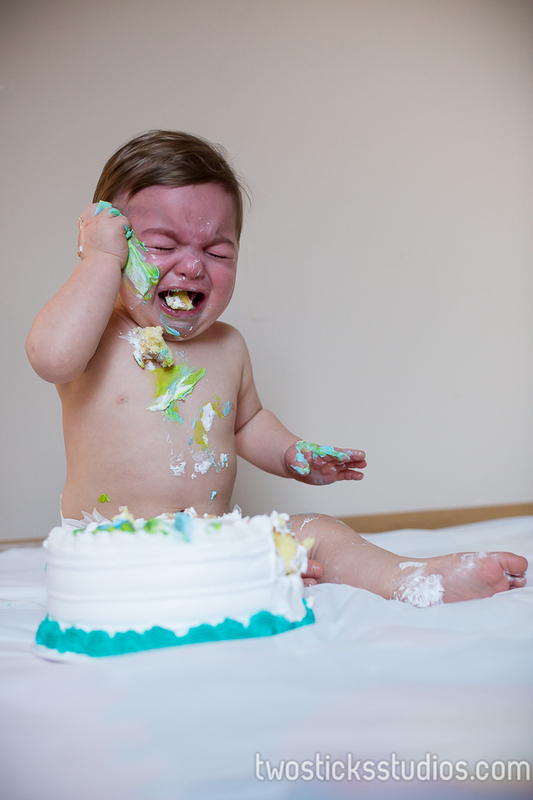 He wasn’t a huge fan of the idea at first, but once he got a taste for the sweet stuff, the cake didn’t have a chance. 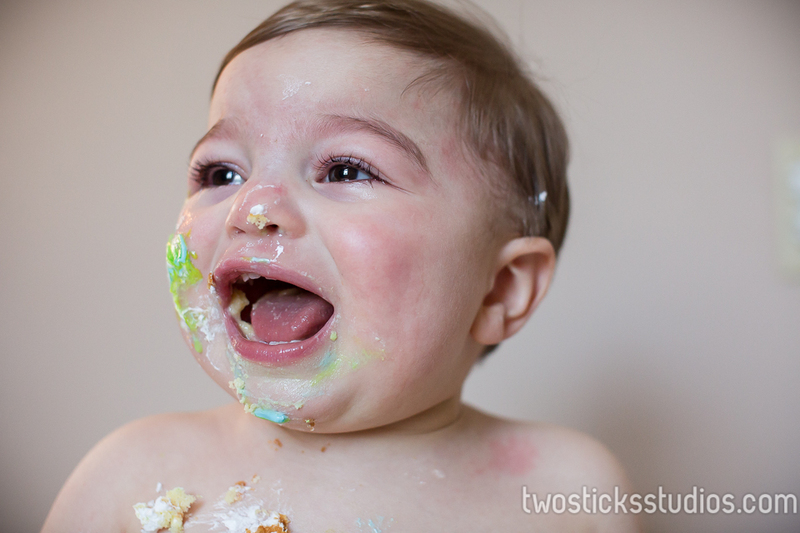 Two pounds of cake later and Quinn was ready for nap…or a sugar coma. Can’t wait for birthday number two!